Thanks to my friend Kris, I will read anything set in Singapore (or Indonesia and Malaysia.) He's lived in the SEA region for quite some time now - mainly, Jakarta and now, Kuala Lumpur. He's visited Singapore numerous times and I've been lucky enough to hear all about it. The people, culture, food, weather, power outages, lack of web service, etc. have all made their way into the long, detailed emails he sends me. I've really enjoyed getting to know these countries through his eyes and experiences - its utterly fascinating. Part of me thinks he should pen some sort of ethnography about his time there, but that could be the anthropologist in me. Anyhow, as a result of his emails, I find myself more and more interested in reading books set in the SEA region. 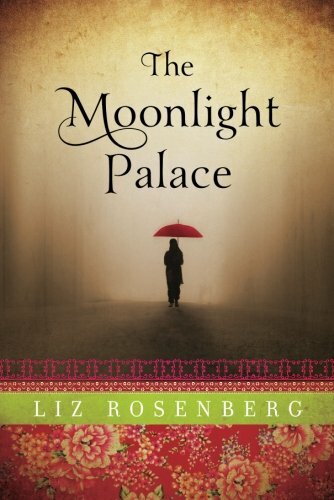 So, I was really excited to find The Moonlight Palace by Liz Rosneberg on the TLC Book Tour schedule. the Kampong Glam palace, as a result of a trade-off from back in the day (they handed over Singapore to the Brits). The place is falling apart (it is a crumbling mess) and they are keen on trying to maintain it. However, finances are low and all this new change brought in with the roaring 20s isn't make for an easy transition. Aggie is only seventeen, so she's really struggling with her family's fall from the ranks, and with everything that comes along with becoming a young lady - think falling in love! Of course, family is a priority, but that doesn't mean Aggie won't get blindsided by affairs of the heart (even if it means DRAMA for her family). Rosenberg does a terrific job with the character of Aggie and her family - she's written them in such a quirky, eccentric manner that you can't help but fall in love with them. As for Singapore - OMG! She describes a beautiful country with such vivid and lush imagery, that I can easily imagine myself wandering around the estate that Aggie and her family reside in. The setting was my favorite part of the novel, along with Rosenberg's oddball characters. The Moonlight Palace is a terrific book to read and I would happily recommend it to fans of historical fiction. On a side note, I must admit that I found myself thinking of Dodie Smith's novel, I Capture the Castle, as I read this story - after all, it too has an impoverished family (with quirky characters) living in a decaying castle. Makes me wonder if Rosenberg was inspired by Smith's book. 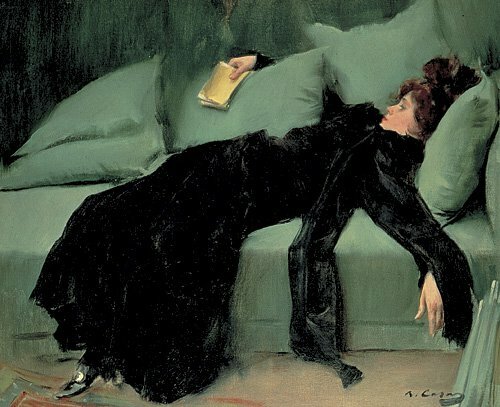 Also, makes me think I should read Smith's novel sooner rather than later (now that its in my head). Don't you love when one book leads you to another? I have this in my stack from the Kindle first of the month free thing. It looked interesting, but I knew nothing about it. I'm so happy that you enjoyed it. I can't wait to get to it now. Oh yes, I DO love it when one book leads directly into another! Heather, I know! Its the best when that happens :) Thanks! I'm going to have to hunt this one down. I love books in that setting as well :D Reading is the best way to find out about other places and cultures, hooray!